The characteristic clatter of wooden clogs on cobblestones would never have existed without the artisans who crafted this unusual footwear. The Old Dutch handicrafts have also brought us the typical Dutch cheeses and the Delft Blue decorative style. 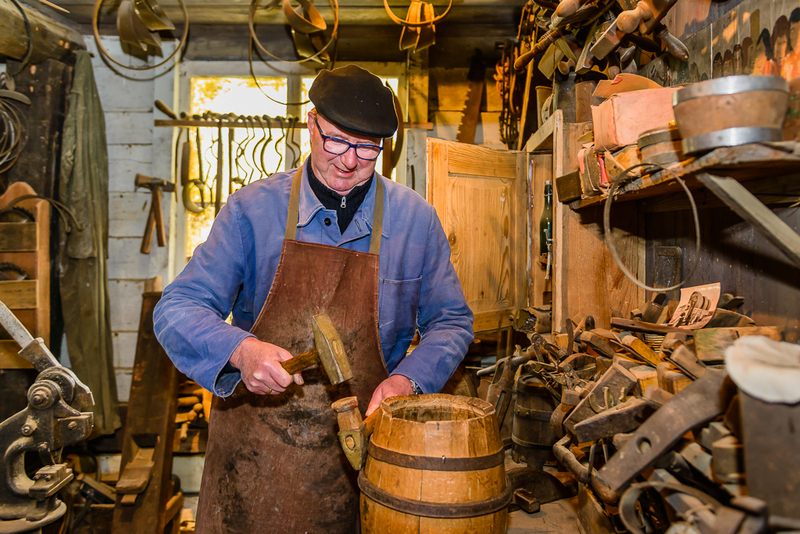 You’ll encounter various different artisans as you stroll through the Zaanse Schans. Feel free to look over their shoulders; they’ll be happy to show you where their particular products come from. There’s a great range of products available in the craft shops, for a wonderful souvenir of our special past. A good old cheese sandwich; it’s what made us so tall! 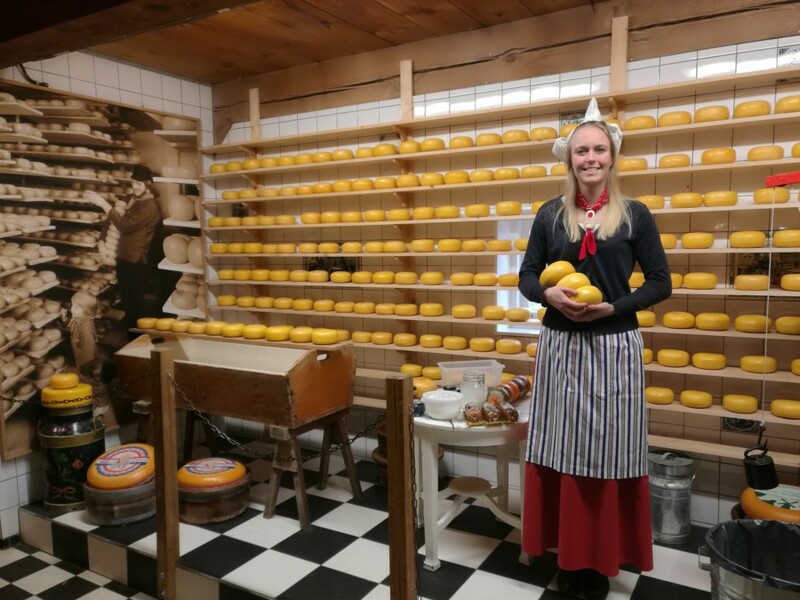 Learn all about the typical Dutch delicacies at Catharina Hoeve, a replica of a traditional farm from Oostzaan. The cheese makers, clad in traditional costumes, will tell you all about the different types of cheese. After all, what exactly is the difference between Gouda, goats and herb cheese? There are daily demonstrations, in 10 different languages, allowing you to see everything that’s involved in producing the cheese. And, of course, you’ll get to taste some of those delicious cheeses. But be warned: a little taste probably won’t be enough for you! That’s why we’ve got all sorts of goodies to buy in the farm shop. Clogs: see how these world famous Dutch shoes are actually made. Give the clog maker a block of wood and chisel, blink your eyes and voilà: a clog. The workshop is open everyday, allowing you to see how they were made for farmers, workers and the general public. Admission is free to both the workshop and the small, but impressive, shoe museum. It’s a unique opportunity to view one of the largest and finest collections of clogs in the Netherlands. This includes beautiful examples of painted clogs, carved clogs, “ice clogs” with iron fittings, horse clogs, “art”-clogs and clogs from many (exotic) countries. The workshop is situated in the ‘De Vreede’ warehouse (1750), which was formerly used to store grain and snuff tobacco. The warehouse was originally used by the Molenaar company (Molenaar’s baby food) from Westzaan. The clog workshop also contains a large shop with ready to wear clogs in all sizes and colours, along with miniature clogs, clog slippers, key-rings and piggy banks. There is also a wide assortment of typical Dutch souvenirs: something for everyone. Here you can see how large sails were made, both for boats and windmills. 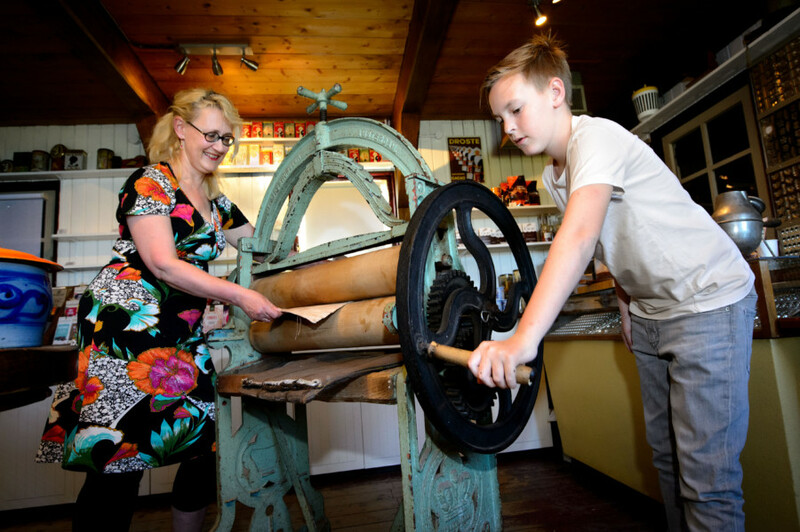 In the Weaver’s House in the Zaanse Schans, you’ll discover the history of the traditional Dutch craft of sail making. In the 18th century, two entire families would have lived here among the five looms. Experience how it must have felt at that time; crawl behind the loom, relax in the box bed and admire the weavers in their traditional costumes. The Weaver’s House was an operational weavers right up to the beginning of the 20th century. In 2015, the house on the Zaanse Schans was rebuilt and employees of the Zaans Museum now demonstrate the craft of home weaving. Making a barrel is not as easy as might think. Discover why in the coopery. Take a step back in time as you enter the Tiemstra Coopery. Cooperage is a special craft, because making a wooden barrel is no easy thing. It must be able to store and transport many different things. Whether it’s flour, spices, oils or water, nothing can leak out. Not to mention gunpowder… The authentic atmosphere is still imbued with the spirit of the last Zaanse cooper. The Coopery displays the fully outfitted workshop of barrel-making company S.R. Tiemstra & Sons from Oostzaan. Jaap Tiemstra bequeathed the workshop after his death in 1999. Tiemstra’s barrel-making workshop was then moved to the building that previously housed the Schuitemakerij Brewery. It was located at Rustenburg in Zaandam, but was demolished in 1964 and its contents were put into storage. In 1967, the warehouse was reconstructed at the Zaanse Schans. Come and nibble on chocolate, made in the traditional way, at Zaans Gedaan. How do you make chocolate from cocoa beans and why does the Zaanstreek area smell of cocoa? In the CocoaLab, you’ll learn by winnowing, cracking, tapping, grinding, grating and crushing. Fancy a delicious demonstration or a chocolate making workshop in our CocoaLab? The authentic barn is the perfect setting for it. Everything is done in the traditional way of course, according to 18th-century methods. Using these traditional utensils is a unique experience in itself. In the meantime, you can also buy some tasty treats, including exquisitely flavoured chocolates, chocolate bars made on site and delicious chocolate milk, made with real Zaanse cocoa powder! 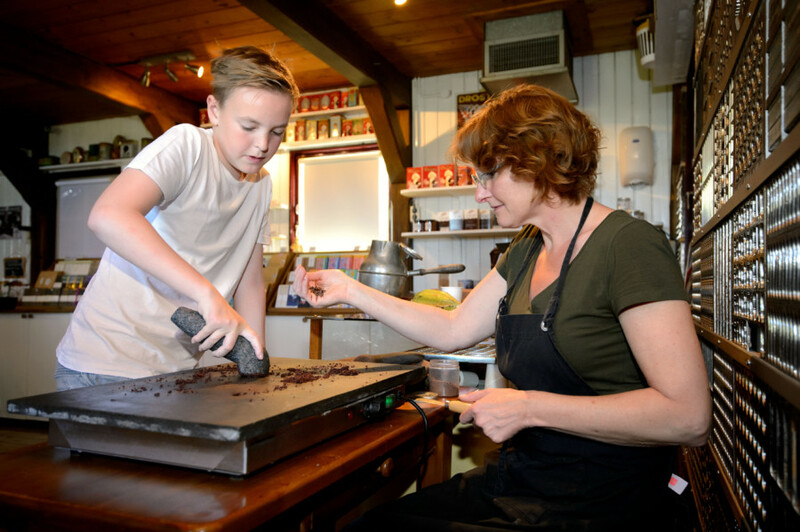 If you want to try it out for yourself, you can join in a short chocolate or liquorice-making workshop by appointment or by open registration. Discover the most delicious liqueurs at the Liqueur distillery de Tweekoppige Phoenix. Find out all about the ancient tradition of distilling alcohol, which is easy to observe thanks to the use of glass retorts and a traditional copper kettle. Throughout the day, the enthusiastic staff are always ready to provide information about the process. The Tweekoppige Phoenix also offers a tasting of three liqueurs from our broad range. From sweet to peppery, whatever takes your fancy! In the authentic bar room, you can try one of the countless flavours created here and buy your favourite one in the shop. But why, you may ask, is there a distillery in the Zaanse Schans? In the past, distilleries were quite common in towns. The mills not only ground grain for bread, but also for beer and gin. The production of alcoholic spirits used to be a lengthy process, until the steam engine was invented. This made it much easier to produce liqueurs. 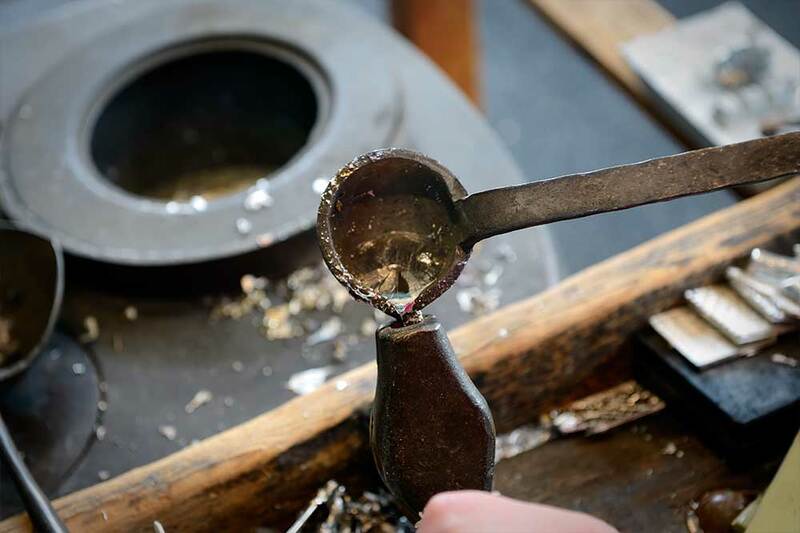 Casting pewter: an artisanal industry that is still done completely by hand. 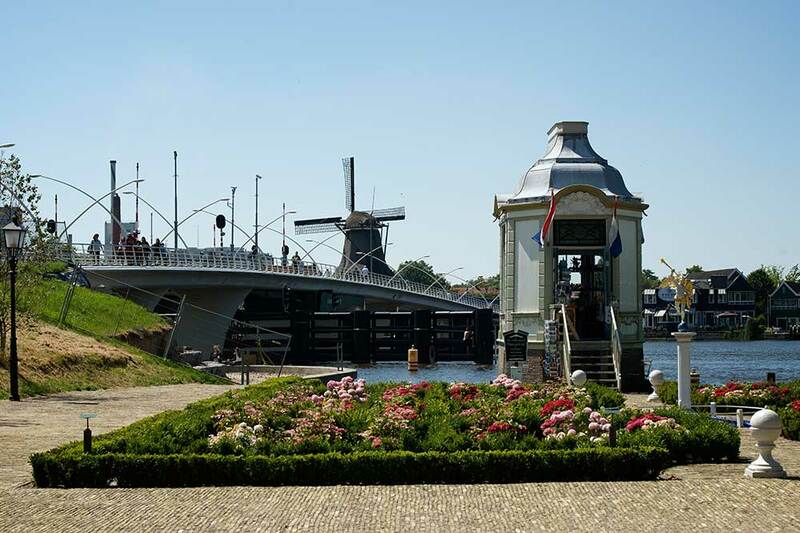 One of the last pewter foundries in the Netherlands stands on the Zaanse Schans. This traditional craft does not involve any machinery; all the products are cast and finished by hand. The moulds employed are invariably made from an ancient form of bronze, the oldest of which dates from 1697. 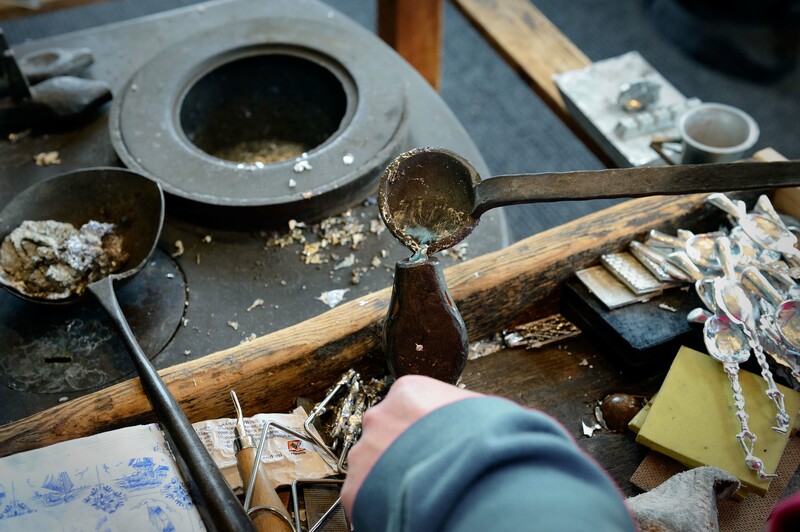 The pewter foundry gives free daily demonstrations. 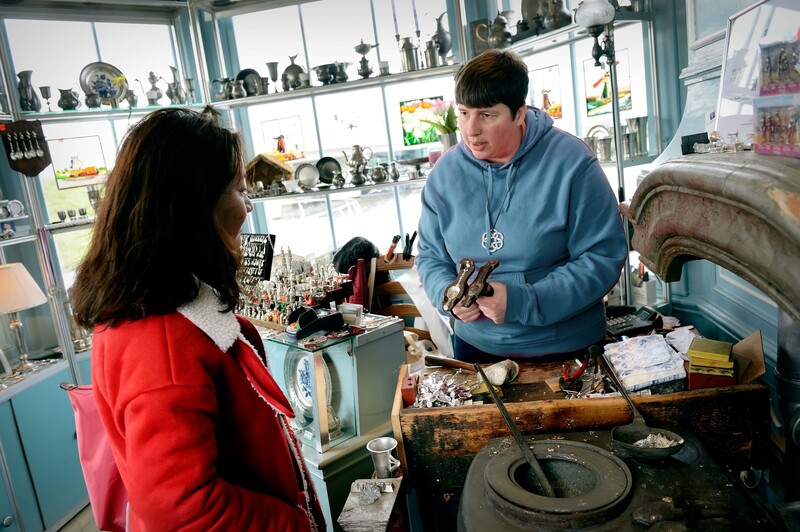 Inside, you’ll find the largest range of pewter products available in the Netherlands. De Tinkoepel at Zaanse Schans is housed in a listed building dating from the second half of the 18th century. This beautiful, romantic building used to be a teahouse, located then, as now on the banks of the River Zaan. Like many other buildings, it was moved to the Zaanse Schans in 1968. In this case, from the Westzijde in Zaandam.